Vector software allows cues to be built and run with a variety of linking options. The amount of cues that can be built and channels that can be controlled are limited only by your imagination. Vector has a wealth of cue creation and editing features designed to allow rapid entry and programming of cues. 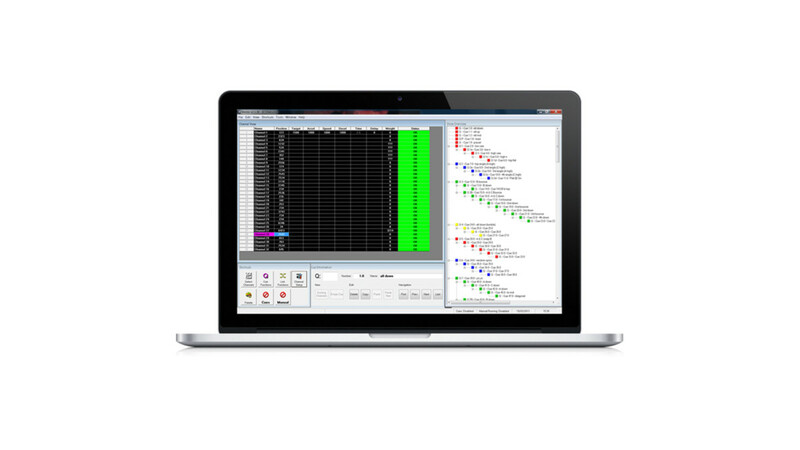 Advanced linking features allow complex cue sequences to be easily constructed while maintaining maximum flexibility over the overall operation of the devices in motion. Four playbacks allow cues to be run simultaneously and manual running features make all aspects of movement easy and safe. Vector runs on compatible Windows computers with the option of a USB keypad for faster editing and operation. 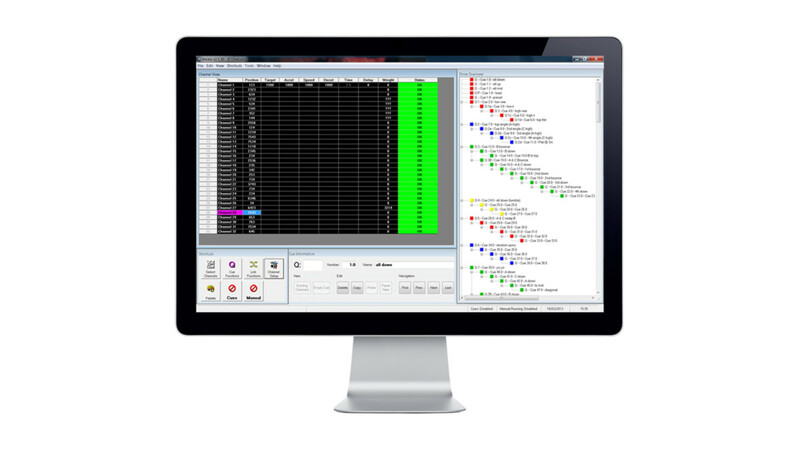 Vector’s full integration with all Kinesys controllers also ensures that maximum feedback is available to the operator for ease of system monitoring. Comprehensive channel settings allow remote configuration of the drives and controllers in the system. Three levels of user login allow different levels of access to be granted to ensure the safety and security of the system is maintained. For more complex moves a ‘Dead Man’s Handle’ can be assigned on a channel by channel basis as well as group halt and error windowing to prevent members of a group from moving out of synchronisation. A free demo version of Vector is available for Download. This version of the software is fully featured, but will not output any commands to carry out movement. A full Vector license can be purchased by contacting us at info@kinesys.co.uk. The Vector USB Keypad is an external USB keypad that is specifically designed to operate with Vector. Specific keys are available for manual movement, group movement, moving between channels and cues and colour coded cue playbacks. The only software required to operate the keypad is Vector. 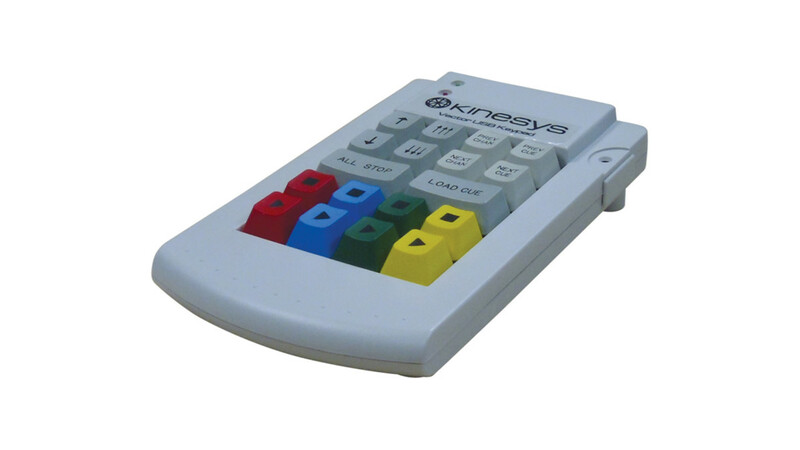 The Vector USB Keypad can be purchased as part of a Vector license or individually, from your nearest Kinesys distributor. Vector can be switched into simulation mode, which stops Vector communicating with the outside world. Whilst in simulation mode, no commands will be sent to any connected hoists, allowing cues to be run and tested without any real world movement taking place. Any channels that are requested to move will not have the request sent to the device but instead will recreate the position change information internally to provide position changes on the screen as if the channel was moving. The position changes as it would in the real world at the speed that has been requested. Ramp information is ignored however so timed cues may show as completing in slightly different times in simulation mode. Simulation mode is turned on and off in the Tools menu. It can only be changed in editing mode. Position updates are not performed in simulation mode so the current position displayed on the screen will not refresh until simulation mode is turned off. If Vector is running in simulation mode the background colour of the channel Status column will change to yellow. The status bar at the bottom of the screen will also display “Vector : Simulation”. Vector will run on Windows XP, Vista or 7 and requires one Ethernet port to send out communications. If you wish to connect the external Vector keyboard you will need a USB port. The recommended minimum screen resolution is 1024×768. Once the Vector installer has been downloaded and run a license is required for it to operate. This applies even if you planning to use it with a Demo license. Demo – Vector is fully functional, but will not output any data, meaning no hoists can be moved or controlled. 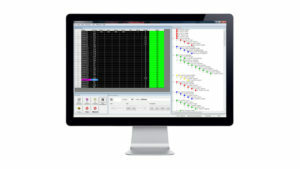 Shows can be built and run in simulation mode. Full – The full license with all features enabled. Once Vector is installed on your machine you have 3 days to obtain a license before Vector will lock you out. In those 3 days Vector will be fully functioning, after that time Vector will not run without a license. To obtain a demo Vector license you can use the link presented in the Vector Licensing Window, which will auto generate an email with the correct details in. Alternatively you can email unlockcode@kinesys.co.uk, please include the unlock code presented in the Vector Licensing Window. The key you are given to unlock Vector is only valid for the machine that the unlock code was generated from. It is not possible to use the same Vector license key on multiple machines. To do this you will need to obtain multiple licenses. To obtain a full Vector license please contact your nearest Kinesys distributor.